The wilderness of the Cape York Peninsula is one of Australia’s most precious. One of the last wild places on earth it is a biodiversity hotspot, home to undisturbed tropical forests, wetlands and over 300 species of endemic flora and fauna. The Cape is also a region of rich indigenous culture and heritage, spanning 40,000 years. Cape York is also one of the most economically disadvantaged areas of Australia, particularly for the indigenous population whose living standards are far below national averages. Roughly two thirds of the Cape identify as indigenous. A history of dispossession, forced removal from their lands, struggle for land rights, and the lack of economic and educational opportunities have contributed to the serious indigenous disadvantage which exists in the Cape today. Cape York is in urgent need of new measures to generate employment and improve living standards. Currently, the Cape’s economy is focused on three industries – mining, agriculture, and small scale tourism. While both sides of government agree that a regional economic development plan is needed to grow the economy, there are clashing views over the extent of industrialisation, environmental protection and Traditional Owner consultation that will take place. While the government speaks of the need to diversify economic activity in the region, development plans seem to be focused on opening up areas to further mining and intensive agriculture. Conservationists have long argued the case for a World Heritage listing for the Cape. In 2007, the Queensland Government created the Cape York Peninsula Heritage Act which set the terms for the conservation and appropriate development of the region. This was backed up by the Federal Government’s promise to“work with the Queensland Government and traditional owners to pursue World Heritage listing for appropriate areas of Cape York”. But despite promising to protect Cape York during the last election, the QLD Government is now eager to exploit the Cape’s rich mineral wealth and open up the region for resource exploitation. A draft Cape York Regional Plan was released by the new LNP government in November 2013. The draft clearly outlines economic development as the key driver, with plans for industrialisation, resource sector development and the removal of existing ‘green tape’. Described as“flawed, a fraud and a fail” by the Wilderness Society, the government has been accused of failing to properly engage Traditional Owners, ignoring areas recognised for their ecological significance, and weakening existing protections. 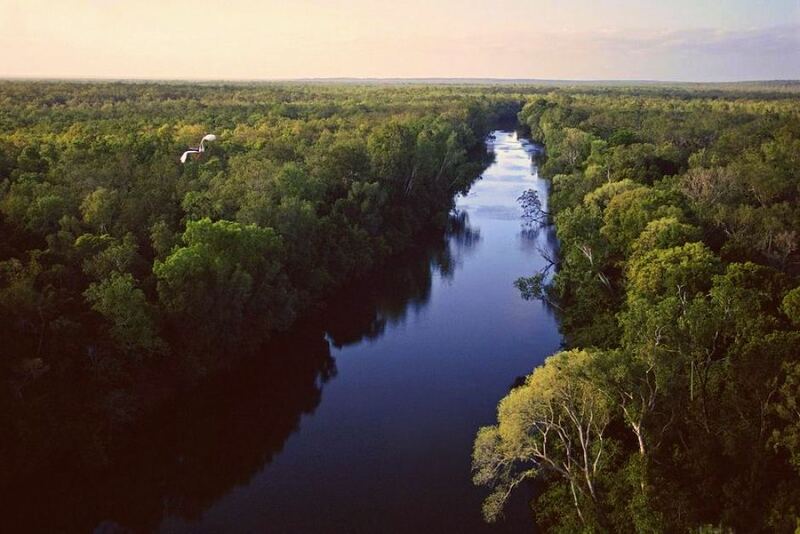 Controversially, the Wild Rivers Act of 2005 which protects the Queensland’s 13 pristine rivers from the threat of bauxite mining, CSG drilling, major irrigation plans and damming, will be revoked for Cape York, opening them up to exploitation, development and vegetation clearing. Despite missing the February 1st deadline to submit a nomination to UNESCO, Environment Minister Greg Hunt assured Australians that the government still supports a heritage listing for the “best of the best” natural areas. Greens Senator Larissa Waters is sceptical, arguing that this really means protection for areas of no value to the mining industry. So what’s the alternative to this quick fix, exploitative model? Conservationists favour working with the land instead of against it, arguing that Cape York can be a world leader in sustainability. Attaining a World Heritage Listing is central to this plan, as is the consent of the Traditional Owners. World Heritage protection is a flexible regime, and will not lock away the entire Cape. It recognises the need for rigorous protection in National Parks, while other lands are used for culturally and environmentally appropriate economic purposes. It recognises the Cape’s long history of sustainable indigenous land management, and that strong indigenous partnerships are central to any successful strategy. A conservation economy is one in which economic wealth is generated from a region’s local and natural resources, in a way that meets the needs of local communities. Resources are used in a sustainable way and help to restore, rather than deplete, natural and social capital. A conservation economy provides meaningful work, supports communities and indigenous rights, and restores the environment. Transforming local economies into conservation economies depends on small and medium sized businesses, who embrace a conservation ethic and care about the preservation of local ecosystems and cultures. Sadly, anything resembling a conservation economy is far away as the LNP Government continue on their “dig it up, cut it down” path of short term economic gain. By excluding Traditional Owners from the planning process, removing existing environmental safeguards, and opening up pristine lands to damaging resource exploitation, the Cape York Regional Plan will fail the marginalised Australians of the Cape.